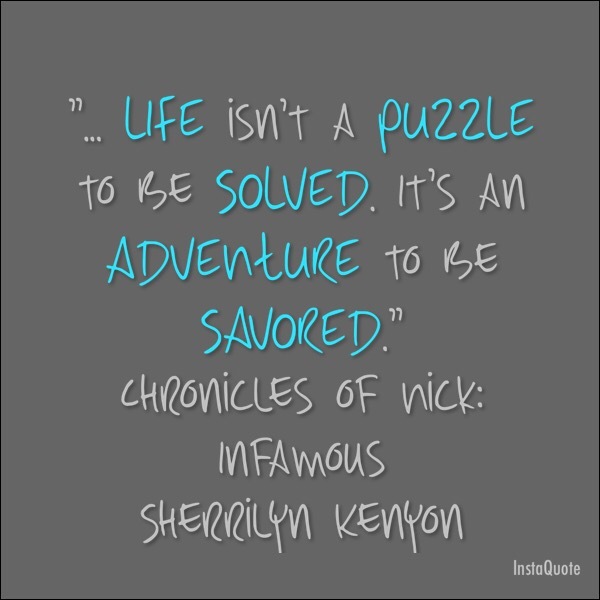 Life is not a puzzle to be solved. It is an adventure to be savored. If you haven’t checked out this series, you should. Even though I’ve fallen behind .